UN - The United Nations Security Council today condemned in the ‘strongest terms’ the recent escalation in attacks conducted by Boko Haram, and expressed its deep concern that the activities of the Islamist extremist group, including a spate of shocking suicide bombings across northern Nigeria, are undermining peace and stability in the West and Central African region. 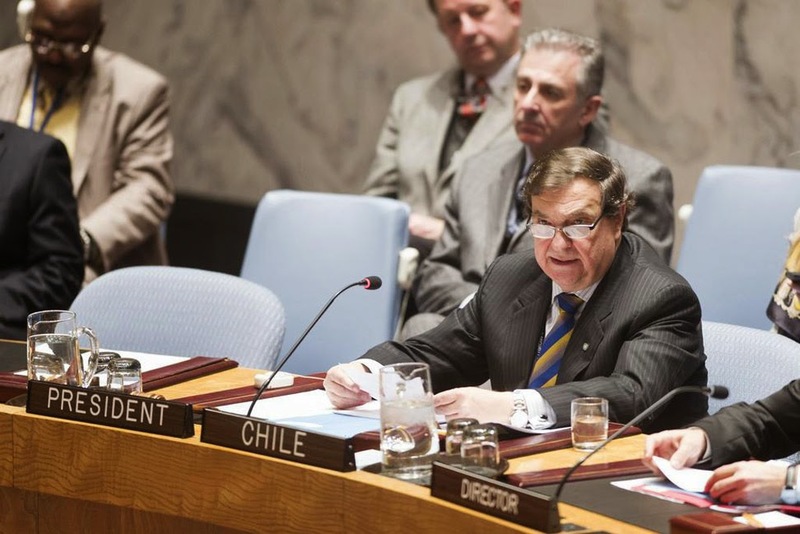 “The Security Council demands that Boko Haram immediately and unequivocally cease all hostilities and all abuses of human rights and violations of international humanitarian law and disarm and demobilize,” declared Cristián Barros Melet, Chile’s Permanent Representative to the UN and President of the Council for the month of January, reading out an approved statement during a formal meeting. In the statement, the Council also strongly condemned and deplored all abuses of human rights and violations of international humanitarian law by the terrorist group Boko Haram, since 2009, ‘including those involving violence against civilian populations, notably women and children,’ and demanded ‘the immediate and unconditional release’ of all those abducted by the group, including the 276 schoolgirls kidnapped in Chibok northern Nigeria last April. Initial accounts from the field indicate that girls, possibly one as young as 10, were forced to carry out the suicide attacks at marketplaces in Maiduguri and in Potiskum, drawing condemnation from both UN Secretary-General Ban Ki-moon and Anthony Lake, Executive Director of the UN Children’s Fund (UNICEF). Moreover, earlier today, the top UN envoy for Central Africa welcomed Chad’s decision to send soldiers to Cameroon to help in the fight against Boko Haram, after several assaults on cross-border villages in northern Cameroon, which have raised fears that the insurgents are expanding their attacks. According to media reports, some 80 people – many of them said to be children – were abducted yesterday in Cameroon in one of the biggest Boko Haram kidnappings to take place outside of Nigeria. Meanwhile, the surge in violence caused by Boko Haram has also unleashed a wave of fear across Nigeria and the wider region. In northern Nigeria alone, over 900,000 people, many of them women and children, have fled their homes. More than 300 schools have been severely damaged or destroyed and hundreds of children have been killed, injured or abducted from their homes and schools, according to a recent assessment by Leila Zerrougui, the UN Special Representative for Children and Armed Conflict. In addition, the UN refugee agency (UNHCR) recently reported that the number of Nigerian refugees seeking safety in Chad due to the dire security situation had almost quadrupled over the past few weeks. Most of the refugees, the agency added, were forced into western Chad, where many are now staying with local communities in villages around 450 kilometres north-west of the capital, N'Djamena. “The Security Council underlines the need to bring perpetrators, organizers, financiers and sponsors of these reprehensible acts of terrorism to justice in accordance with international law and relevant Security Council resolutions,” the Security Council President concluded.